Roger Federer remains in the hunt for an Open Era-record sixth US Open title after dismantling 12th seed Richard Gasquet 6-3, 6-3, 6-1. The battle, which counted World No. 1 Andre Agassi and celebrities Bradley Cooper, Justin Timberlake, Jimmy Fallon and Alec Baldwin among its onlookers, lasted 1 hour and 27 minutes. In the opening set, Gasquet saved three set points at 2-5, 0/40 before the second-seeded Federer converted the first on his own serve in the next game, with a cross-court forehand winner. In the third game of the second set, Federer seized a break point with an inside-out forehand winner. He claimed the set when Gasquet landed his second double fault of the match. The 29 year-old Gasquet gave up an early break in the third set as a forehand sailed long, and though he fended off one match point, he wasn't able to do the same on the second. Federer amassed a total of 50 winners, including 16 aces, to Gasquet's eight. The victory allowed the Swiss to maintain his hard court dominance over the Frenchman, extending his lead to 9-0. 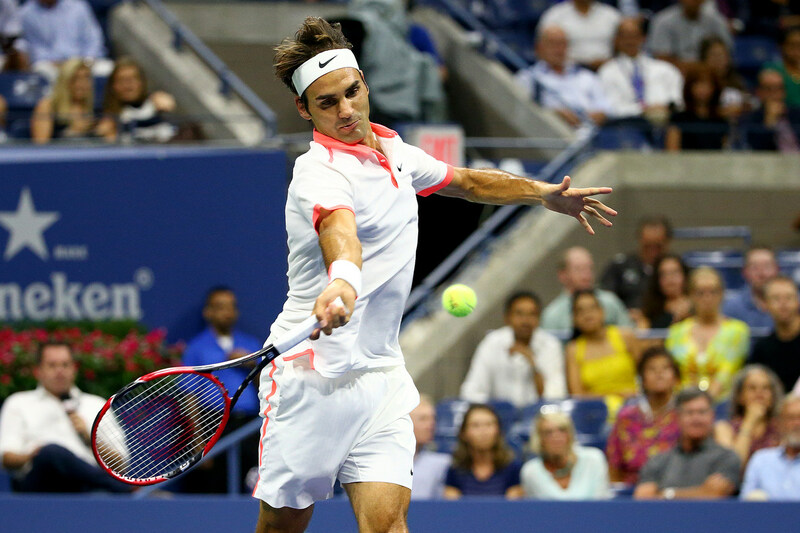 Overall, Federer improved his ATP Head to Head record over Gasquet to 14-3. "I think I played a very good match, I felt the ball great from the return and it helped playing Isner in the previous round and seeing those massive serves," said Federer. "This is going to help me also physically and mentally save energy; I hope because of that, I can play better in the semi-finals," he added. Federer, who is yet to drop a set at this year’s US Open, next meets countryman and fifth seed Stan Wawrinka. Federer has a 16-3 ATP Head to Head record over his 30-year-old compatriot. "Stan played wonderfully against me in Paris and I was happy for him that he won the title. He really deserved it," said Federer. "He's improved a lot and I couldn't be happier to play him here. "It’s two Swiss in the semis of the US Open, it's very cool for the both of us and I'm looking forward to it," said Federer, who will on Friday contest his 38th major semi-final. "I believe Stan can bring it. That's my number one focus, that I make it as hard as possible for him to beat me. Personally I'm very happy with where my game is at, it's just a matter of keeping it up and adjusting to Stan now," said Federer. "Looking forward to playing him, because he definitely is a big test and a big challenge for me," he added. The father of two sets of twins, he said sleeping is also a big part of his preparation. "Sleeping has become quite important. I make sure I sleep enough, as well," he said. "I believe it's really the sleep that gives you energy again down the road. That's why the next two days are very important for me in terms of sleeping." 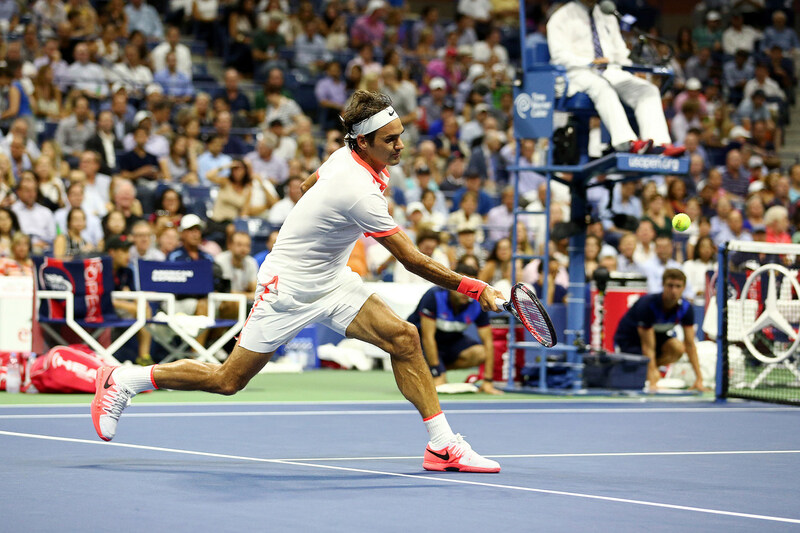 "Roger is playing really well here so I will need to be at my best. I will try to play my game, to play really aggressive. I’ll try to push him back. I will have to play really, really fast, to be the aggressive player, if I want to have a chance to beat him. He's had some amazing matches and I know it will be a big challenge but I think I'm ready," said Wawrinka of his compatriot.